Arlene Catches the Enemy. 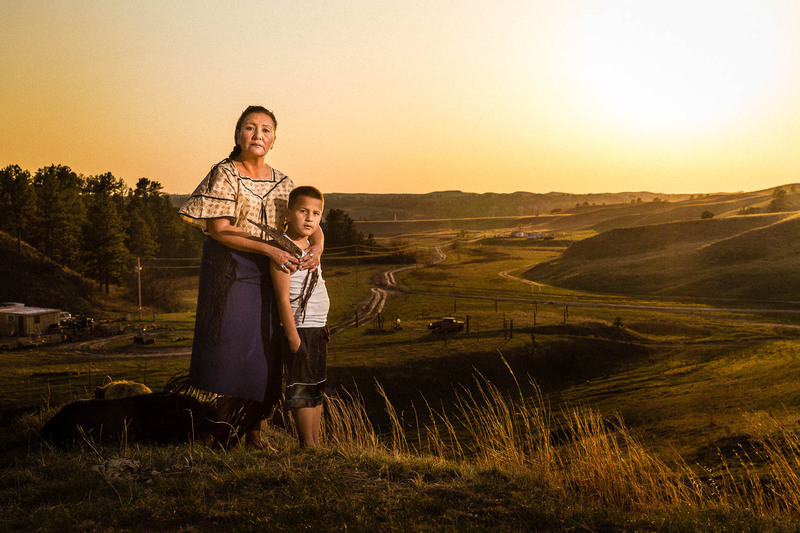 A single grandmother on the Pine Ridge Indian Reservation. Head of household. Breadwinner. Matriarch. Known for fighting bank corruption, Arlene is true to her name. Here she stands with her grandson above her home.